I was at 120ish flowers. which of course meant I could start the joining. and this is where I am currently up to tonigh. Still a long way to go but progress is good. I was also admiring some more wool Saturday for my next Crochet project but don't dare buy any yet! Very pretty Sharon, and coming together so quickly. You never cease to amaze me at how many beautiful projects you make. Just so pretty. I really love it. I want to do it too!!! Wow! I must have missed a couple of instalments. LOL Awesome little blocks. This is such a pretty pattern, Sharon. It's going to be great! Wow.. You have done a great job on those Hexies . You have done so many. 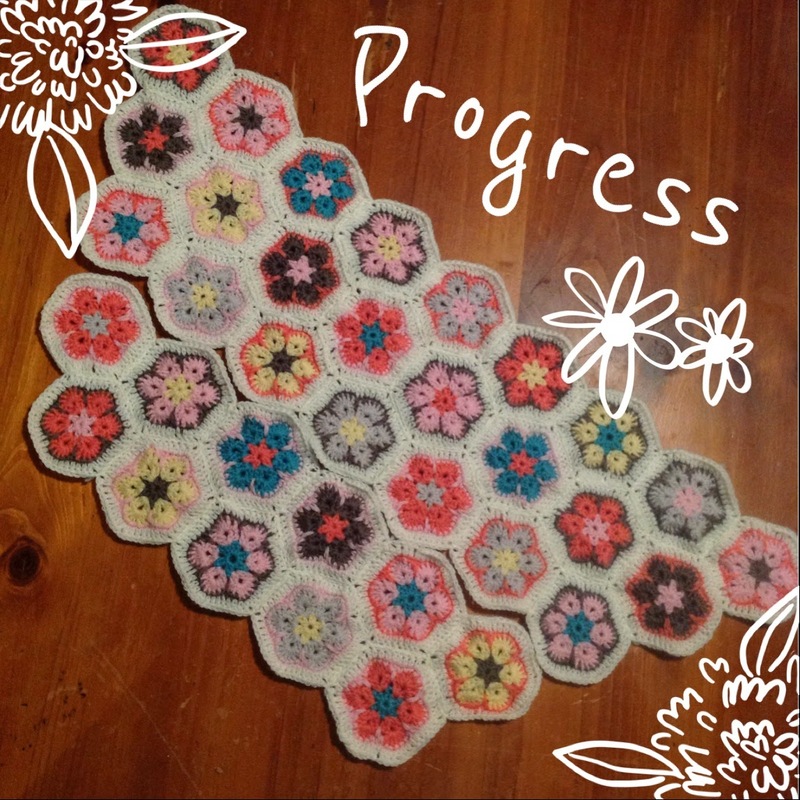 Progress is very good! 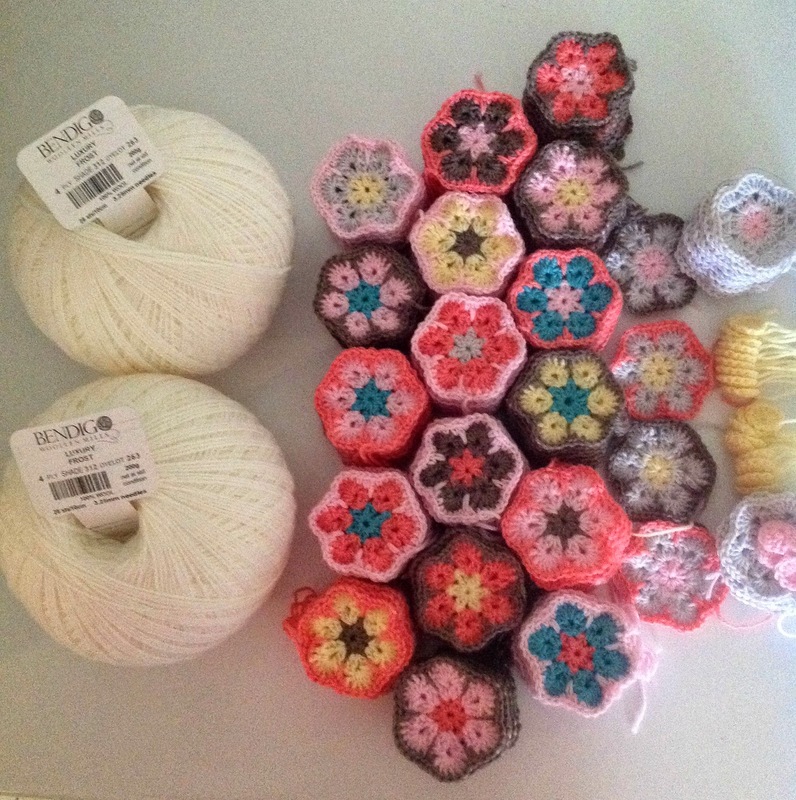 Are you sewing in the ends as you go after each flower is done or leaving it till they're all together?? I usually sew all my ends in when I have a small pile of blocks that way I don't have a mammoth task at the end when you just want it done and on your bed. 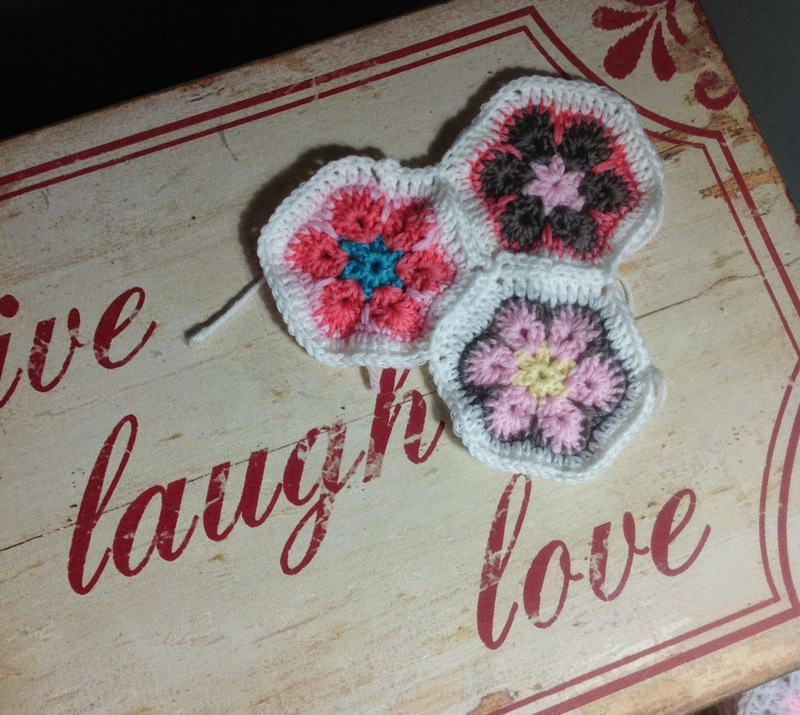 Love this block I may just need to get the pattern and give it a go :) Barb. These are coming along so nicely...are you joining with a whip stitch? It is always so good to see them come together so you can see just how much progress you have made...yours is very lovely. Your flowers are looking wonderful, Sharon. Ahhhh, the lure of new wool yarn! Sorry to be late catching up but I am pleased I checked in. These flowers are looking lovely and the colour combinations have worked very well together.